Green Building and furnishing solutions is not just a hot topic, it is an important benchmark in our society’s commitment to protect the environment for future generations. Green Building is a positive trend in consumer thinking, to which Premier Copper Products embraces seriously by not only providing eco-friendly solutions, but extending our commitment all the way to our eco-friendly packaging. 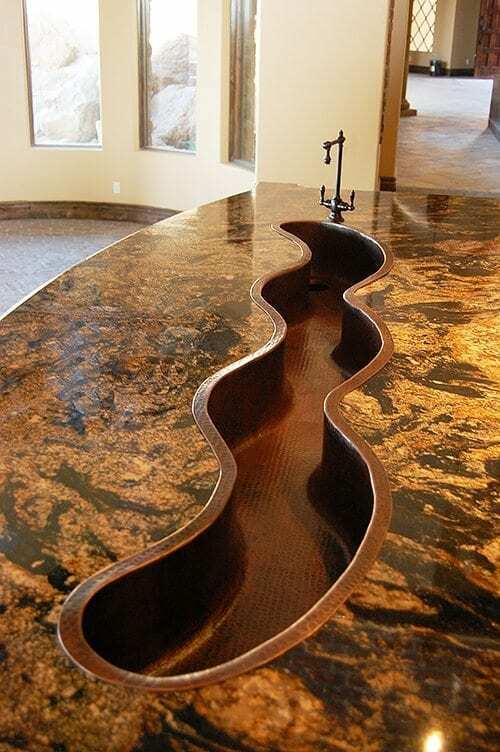 Premier copper sinks will endure for generations. Copper is a uniquely durable metal with literally endless ability to regenerate its protective patina. This patina is what gives Copper its legendary ANTIBACTERIAL and ANTIMICROBIAL properties along with its natural beauty. Having these protective properties will allow consumers to reduce the need for harsh chemicals that are harmful to people and the environment. Copper is one of the most abundant and valued recyclable materials on the planet. Premier Copper Products sinks are manufactured using 99.9% pure grade A copper wire that has been reclaimed and recycled into copper blanks. 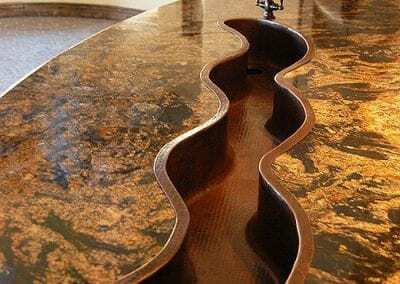 Endlessly recyclable, your copper sink will never take up valuable space in a landfill like other stone, concrete, stainless steel or ceramic sinks. All of Premier Copper Products can continue to be recycled into new products without limit. Premier Copper Products uses only packing peanuts made from sustainably harvested vegetable starch as well as recyclable cardboard boxes with inserts made from post consumer products. Making the bulk of our packaging compostable and or recyclable. 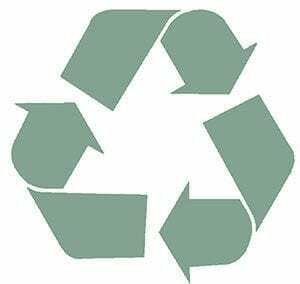 You can feel confident knowing that we are truly a REDUCE, REUSE, and RECYCLE company!